Under our dedication towards providing an easy and secure way to users for strengthening their email privacy and security, we will be present at ‘First PrivacyCafé of 2018’ by Privacy Training Center. Privacy Training Center is a registered non-profit organisation from Belgium. They offer training and assistance to vulnerable individuals and groups of all sorts. No matter if you’re a total beginner or a team of advanced users, Privacy Training Center has got you covered. They offer tailor-made staff trainings where they customise the curriculum according to the needs of your organisation. And they provide regular public workshops for citizens where they answer all kinds of questions on data privacy and IT security. We are glad to contribute to their cause, and will be present at their First Privacy Training workshop of this year. You will be able to meet with our representative, and can ask all of your questions. Moreover, you will be offered a redeem code, that you can send to our support and claim an Entry plan for 3 months. 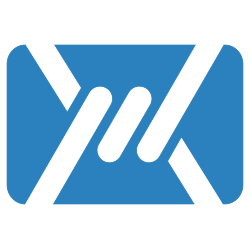 Mailfence is a secure and private email suite. Do you have any questions? Feel free to contact our support.